Our voice seminars are conducted by Dr Dan who has literally instructed thousands of vocalists from community and church groups across Australia over the last decade through voice seminars. Dr Dan’s extensive experience as an individual voice coach, teamed with a vibrant communication style and broad knowledge of contemporary technique ensures each seminar will be entertaining, informative and engaging. Daniel’s capacity as a presenter has seen him lecture nationally in the presentation of vocal papers to professional associates, guest lecture locally at the Queensland Conservatorium of Music, present a session as an invited guest at the Hillsong Conference in Sydney, and conduct seminars as far reaching as Perth and Auckland, New Zealand. Djarts’ Vocal Seminars are ideal for small and large groups alike. Groups wishing to develop their contemporary singing skills more broadly through expert knowledge and skills enjoy the lecture/workshop format in the comfort of their own location and chosen venue. 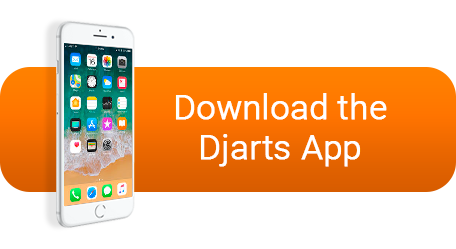 Djarts’ Vocal Seminars have been hosted in the past by community groups, churches, choirs and independent organizers living regionally and locally; the seminar format and presenter are flexible to adapt to needs of many groups and contexts. 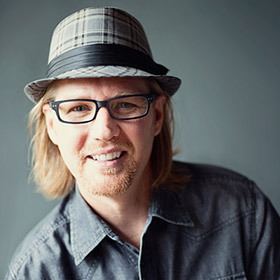 Dr Dan, Australia’s leading expert on singing in the church context, is regularly invited by Christian worship vocal teams to raise the standard of vocal leadership in worship services. If you’re not a member of a church or community group, but you would still like to participate in a vocal seminar with Dr Dan, you might like to consider the USQ Artsworx McGregor Summer School program. Learn more here. Dr Dan and the Djarts team work closely with seminar organizers to ensure they select the modules most important for their vocal group at the time and build these together across the specific time frame. In addition to the selected modules providing a master class as a component of the longer seminars is always recommended. A master class is an opportunity for individual singers to receive individualized attention and coaching with a twist; instead of a private lesson they are trained and demonstrate in front of the whole group. This is always an enlightening experience for the group and often an empowering experience for participants as they engage new skills with guidance and direction. Seminars can be conducted over: Full Day, Half Day or Two (2) hour instructional session. It’s totally up to you – the seminar organizer. In the past seminar organizers have approached the vocal seminar modules in a range of formats. Some have chosen to build all modules into an extended seminar, sometimes across a day and a few evenings; others have selected a few modules for a shorter seminar and then had Djarts back six months or a year later to do an additional seminar of different modules; other organizers have progressively covered many modules through shorter sessions across a period of time. Flexibility and tailoring to the needs of the individual group are qualities we pride ourselves on. The vast majority of seminars presented by Djarts have been for church singers in churches throughout Australia and internationally. Much of this is due to Daniel’s history as a full-time music director, teamed with his current ministry performance experience and his extensive postgraduate study and ongoing research into the specific demands of church singers. Daniel lends himself passionately to presenting vocal seminars for churches and his extensive experience in a range of denominations enables him to adapt easily to the cultural and practical requirements of each denominational context. To gather more information, discuss a date or request a quote on a seminar for your group, contact us or send your contact details using the online form. "The USQ McGregor Schools were delighted to have Dr Dan join us for the 2014 McGregor Summer School, teaching ‘Contemporary Voice: Technique, Style and Performance.’ Not only was Daniel an enthusiastic and dedicated teacher who inspired his students to achieve their goals, he wowed audiences at the nightly concerts with his magnificent voice. We look forward to working with Daniel again at future Schools." We engaged Dr Dan because we wanted to encourage our vocalists to strive towards the next level in their ministry. They already give their talents to glorify God, we just wanted to provide them with some new knowledge, skills and tools to do it better. The seminars always have a positive effect on team morale and professionalism with the end result benefiting the church with better vocalists. Dr Dan is a great presenter who is able to link the academic, the practical, the professional and the sacred in an informative, non-threatening and sometimes humorous manner. This makes the information easy to retain. The feed back from our team has been very positive and I am sure we will be reaping the benefits of these seminars for many years to come. "Just wanted to say a huge thank you for coming and running our vocalists through your workshop! I really appreciated all the knowledge and insight you bring into what is required from the voice of today's contemporary worship vocalist. I felt the night was highly valuable and worthwhile for our team. Thanks again."